Fiction. Christy Stillwell's THE WOLF TONE won the Elixir Press 2017 Fiction Award. This novel, set in a Montana college town, takes us on a journey through such issues as motherhood and freedom, accompanied by a buoyant soundtrack like no other. 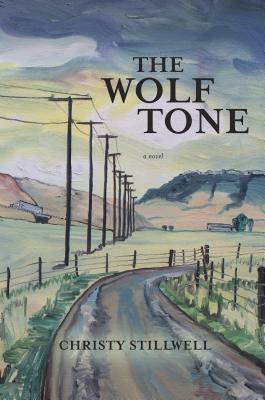 Debra Spark had this to say about it: "For me, Christy Stillwell's novel THE WOLF TONE was like a wonderful vacation to a beautiful, arty Montana town, where I got to live for a season among musicians, art patrons, locals, and owls. I met a tough-minded single mother, a solitary classical musician, and a vet with a start-up medical marijuana dispensary. By the time my stay was over, I'd heard the unexpected and profound story of these unlikely literary bedfellows, a resonant tale about the choices we make, the secrets we keep, and our (often misguided) expectations regarding love, children, and career. No Airbnb booking required. Christy Stillwell writes fiction, poetry and essays. In July 2014, she graduated from the Warren Wilson College MFA Program for Creative Writers. She holds an MA in Literature from the University of Wyoming, and a BA in English from the University of Georgia. Publications include Amnesia, a chapbook of poetry from Finishing Line Press. Her short stories and essays have appeared in journals such as Pearl, The Massachusetts Review, and The Tishman Review. She lives with her family in Bozeman, Montana.